Out of all the movies that Judy Garland appeared in, her lead role as Dorothy in The Wizard of Oz (1939) gave her the opportunity to be in the spotlight again, and it was a defining moment that could make or break her success as a singer-actress. 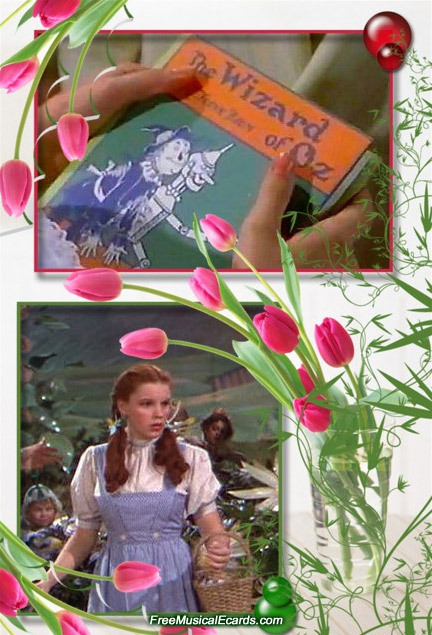 The reason being is that the movie was based on L. Frank Baum's popular fairy tale Oz book, and the world was eager to see how the movie adaption pans out, so Judy Garland had more exposure to a wider audience in The Wizard of Oz than her earlier movies. The Wizard of Oz was also the most expensive production at the time for Metro Goldwyn Mayer studios, with high-tech colour, special effects and so forth, and they expected nothing less than total commitment from their young starlet. The stage was set for Judy Garland to shine, and prove to MGM that they have made the right choice to pick her over the other girls who were also considered for the role of Dorothy. Despite some minor hiccups including a situation that led to a slap on her face from big name director Victor Fleming, and powerful studio boss Louis B. Mayer referring to her as a "little fat girl", Judy Garland handled her role with ease, and rocketed to superstardom in the blink of an eye. The talented beauty came out of The Wizard of Oz as the biggest child or teenage star at the time, and MGM required her services until her late 20's, and she was paid huge salaries in later movies. Judy Garland's performance as Dorothy in The Wizard of Oz was a success at a personal level, it was the movie that introduced Judy Garland to many people around the world, and she will always be remembered by the present and future generations mostly by this performance.